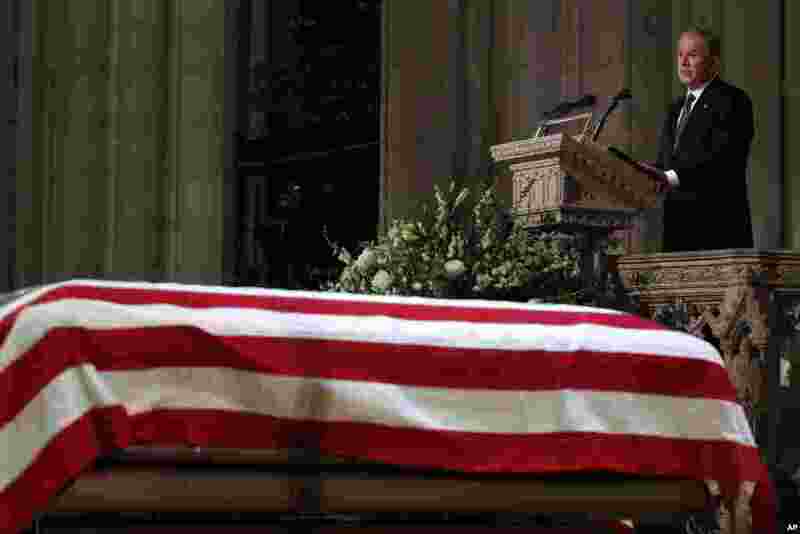 5 =Former President George W. Bush speaks in front of the flag-draped casket of his father, former President George H.W. Bush, at the State Funeral at the National Cathedral, Dec. 5, 2018, in Washington. 6 The flag-draped casket of former President George H.W. 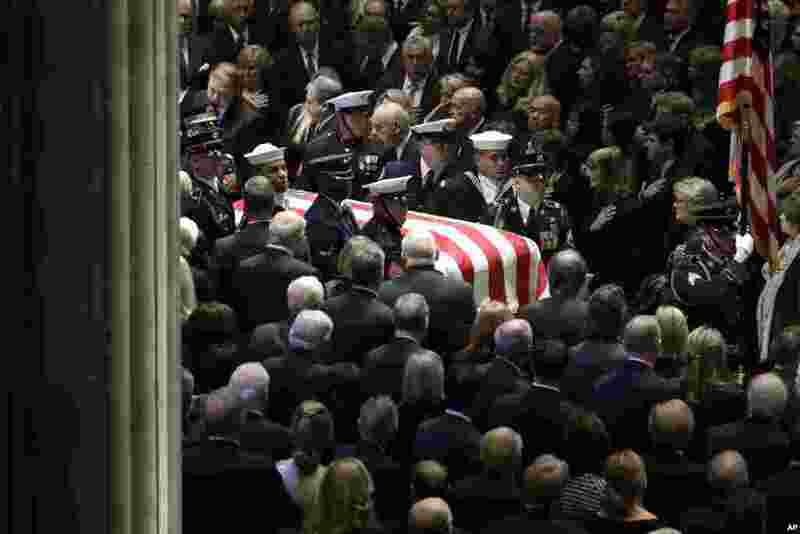 Bush is carried by a military honor guard into a State Funeral at the National Cathedral, Dec. 5, 2018. 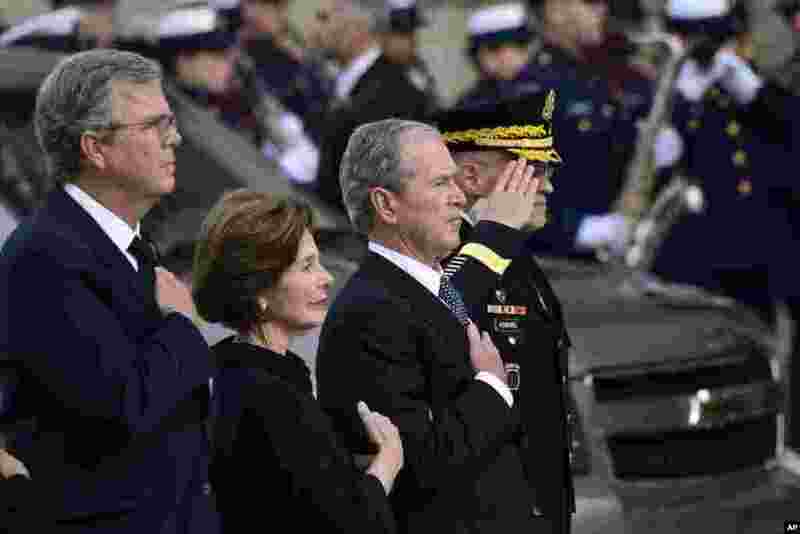 7 President George W. Bush, his wife Laura Bush and brother Jeb Bush watch as the casket of former President George H.W. Bush arrives at the National Cathedral, Dec. 5, 2018, for a State Funeral. 8 The flag-draped casket of former President George H.W. 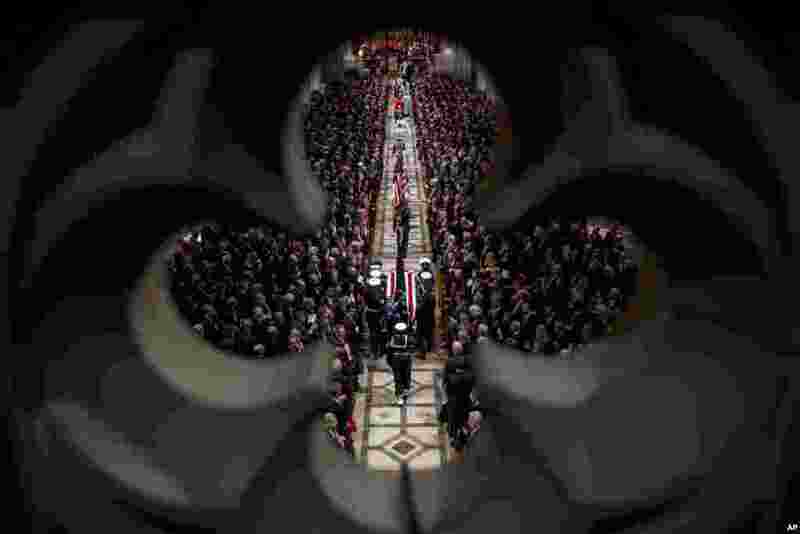 Bush is carried by a military honor guard during a State Funeral at the National Cathedral, Dec. 5, 2018.